Do you consume copious amounts of Coca-Cola products such as I do? If so, then you probably have a My Coke Rewards account where you input your points. If you do, hang onto your points until October 28th — as that is going to be DOUBLE POINTS DAY! 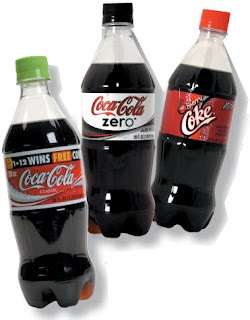 I can’t confirm if Coke Zero will be doubled, but it looks like the other products will be. If you haven’t signed up yet, I recommend it. I have gotten coupons for $1.00/1, free 12 packs and even a magazine subscription – all for free! I am extra excited because I have 33 points sitting here I was going to input, but didn’t and I am sure glad I waited!! And, if things go like they normally do, I’ll be up to 43 points by then! Don’t worry – I’ll remind you on Wednesday! !